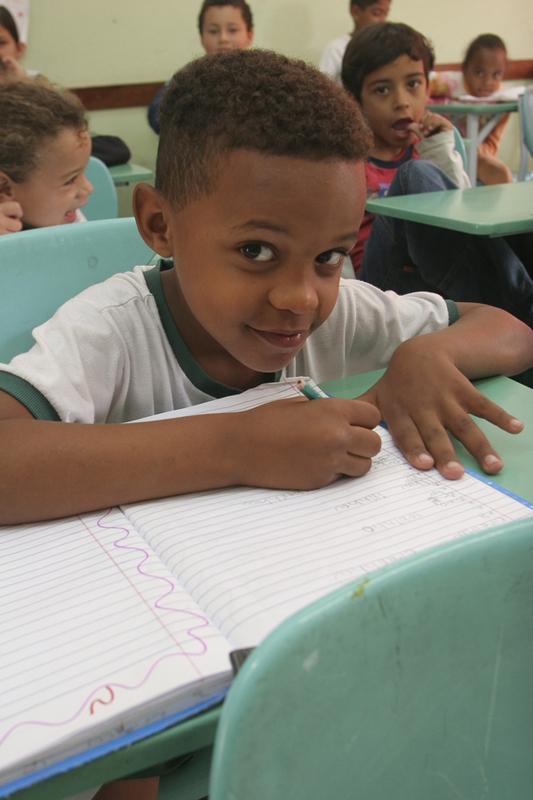 Our efforts in Brazil come from our local Brazilian sister company, Associação Sequoia Foundation through our ELL or English Language Learners program. The backbone of our ELL program is to provide a high level of teacher training along with all the tools necessary to be successful in the classroom. We have provided teacher’s exchange programs between the US and Brazil, allowing teachers to visit and learn what happens in classrooms outside of their own county. We have provided educational professional development specialists to work with the many teachers in the various cities where we are working and we have established an online community among the teachers and professionals in order to offer ways of enhancing their teaching skills. In addition, in Partnership with the Fulbright Commission, we have established a program to have English speaking teachers from the US live in the different communities for the better part of each year. They aid in the classrooms as well as offering an opportunity to teachers to improve the understanding and use of the English language. The first several years of this project have been funded solely by the Sequoia Foundation, but with the successes we have been experiencing, we are now being contacted by others interested in becoming partners or supporters of our efforts in Brazil. 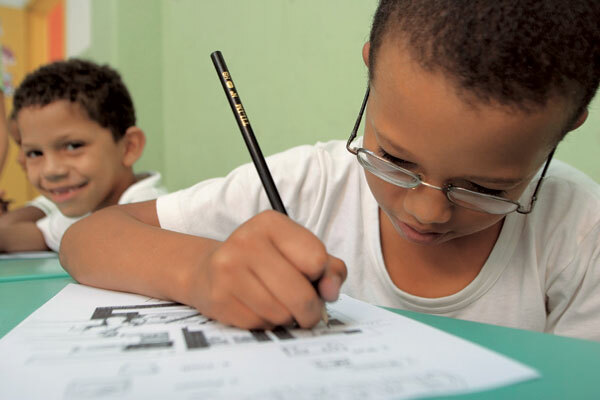 Since 2006, through a partnership with the Brazil Foundation, we have offered support for two wonderful projects. Gente e Para Brilhar (People are meant to shine), in Rio de Janeiro, and Grio: a Tradicao Viva (Grio: Living Tradition), in Bahia. ELL is a Sequoia Foundation project that aims to implement a high quality English Language methodology in public city schools or independent educational projects for children from low income communities who are in the literacy phase. In this early stage of life, the contact with a second language results in significant improvements for the learning of the native language (in this case, Portuguese), besides expanding students’ cultural horizons. :: intense traning of teachers involved in the project; as part of this process, we promote an exchange between Brazilian and American teachers. In the cities where it has been implemented, over 2,000 children are currently benefitting from ELL, thus improving their chances of a more dignified future. Based on technologies applied in American public schools, ELL’s literacy and teaching methodology has proven to be highly effective due to the way in which it captures student's interest. 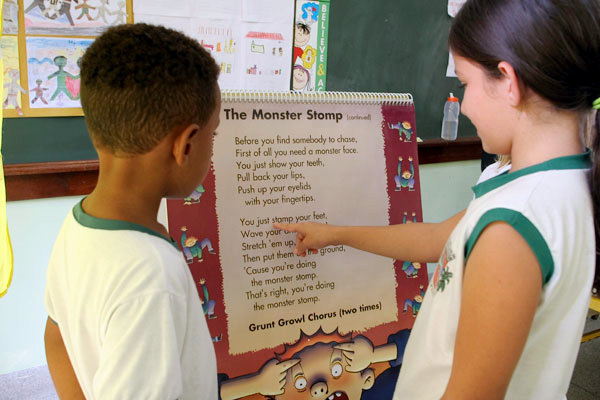 Unlike traditional methods, in which the learning process is regarded as a serious obstacles to be overcome, our methods attempt to bring children into the universe of the English language through playful elements, such as music, oral language, and literature. In addition to providing a more efficient and long-lasting learning experience, these methods offer an important expansion to our students’ cultural baggage. Another outstanding advantage of the project is individual monitoring, which allows each student to develop naturally, acquiring the ability to speak and write in English, regardless of how young they might be. In another successful partnership, we relied on the expertise of renowned project Piraí Digital to use technological resources in the various levels of ELL. Technology plays an extremely positive role in the learning process, allowing for a dynamic and agile interaction among students, teachers, and project coordinators. A great example of that is the use of Moodle, an open-source software package largely used in educational projects. In addition to working as a source of reference to planning classes, Moodle (Visit our Moodle system website) allows for online interaction between teachers and students, while facilitating communication between teachers and project coordinators, working as a support system for professionals at the locations where ELL is being implemented. 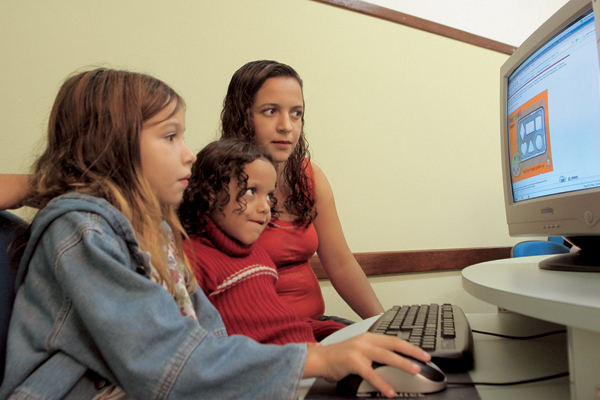 We also rely on a tutoring program in which parents and students use computers to perform extra class activities, always focusing on the content previously taught in class. The Sequoia foundation continuesly invests in the professional development of teachers involved in its projects, because we believe that one of the pillars for the success of educational projects is understanding the importance of the teacher as a fundamental agent in the teaching and learning processes. This is why ELL carries out consistent training for these professionals, promoting an exchange of experiences among Brazilian and American teachers. 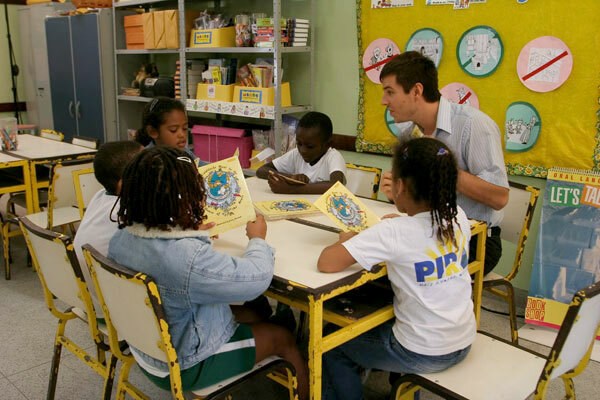 Brazilian teachers are also given the opportunity to recycle their practices through the use of new technological resources. The American institution Fulbright Commission, another partner entity of the Sequoia foundation, selects American undergraduate or recently graduated students to receive a scholarship and spend nine months in Brazil (one school year), living in the communities, participating in classes, and helping the Brazilian teachers. Thanks to that partnership, in each city where the ELL is present, there is an American professional, who experiences a joint working routine between the Portuguese and English speaking staffs. This creates an environment of intense cultural exchange, thus improving the teaching potential of both languages. :: concrete opportunities of a better future for children. The Extra content is an exclusive section for teachers who participate in the ELL project. In order to access this content, you need to fill in the form in the 'Contact' section and register with the project coordination.